A weekly Harbor-UCLA Farmers’ Market is held on out campus, which will feature vendors selling fruits and vegetables, flowers, and prepared items, such as baked goods. 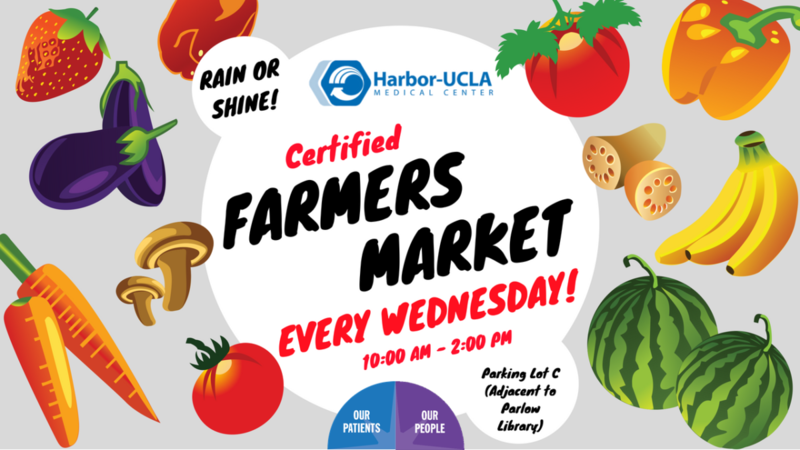 The Farmers’ Market will be held every Wednesday, from 10:00 a.m. to 2:00 p.m., in Lot C, behind Parlow Library. Proceeds will go to support the Guild’s programs that benefit our patients. I hope everyone can come out and participate.